Psoriasis is a long-term (chronic) skin problem which causes skin cells to grow too quickly. Normally skin cells grow gradually and flake off about every 4 weeks but in psoriasis new skin cells move rapidly to the surface of the skin in days, sometimes even in 4 days! This causes the skin cells to stick together forming red, dry plaques covered with silvery-white scales. Psoriasis most often affects the elbows, knees and scalp, although it can present on nearly any area of the body. It very commonly affects the nails and can be associated with psoriatic arthropathy (a destructive arthritis) in 5-7% of cases. Psoriasis never completely resolves, it waxes and wanes, with flares often related to stressors including infection and new medications. There are many treatment options used to control psoriasis and prevent and treat flares. Psoriasis treatment at Atlantic Dermatology and Laser is very individualized and we pay close attention to how much your psoriasis is impacting your quality of life regardless of its extent. Our team of dermatologists will evaluate your skin and determine which treatment plan is appropriate for you. Topical tar, salicylic acid, and vitamin D analogues have historically been the first line of defense in treating isolated patches but we also compound our own mixtures containing more innovative ingredients such as chamomile, grape seed extract and curcumin. Larger areas do well with ultraviolet light or dithranol therapy. In severe cases, strong oral, or even injectable medications may be necessary but require very close monitoring. In all cases, the health of the gut microbiome will be optimized and other associated and exacerbating conditions such as the Metabolic syndrome will be addressed. Treatment of associated hypertension, diabetes, high cholesterol and assisting with weight loss have been shown to improve psoriasis. We will work closely with you to decide which course of treatment to pursue and follow you up closely to assess whether the response to the chosen treatment plan has been satisfactory. A note about oral corticosteroid use in psoriasis : Aside from the potential side effects from systemic corticosteroid use which include pushing up blood pressure, messing with your glucose control and suppressing your immune system amongst others, there is another reason to avoid this treatment in psoriasis. Although treatment with oral or intramuscular corticosteroids rapidly clears psoriasis, the disease usually “breaks through” requiring higher doses of corticosteroids. If the systemic corticosteroid treatment is withdrawn, the psoriasis usually relapses and may worsen. 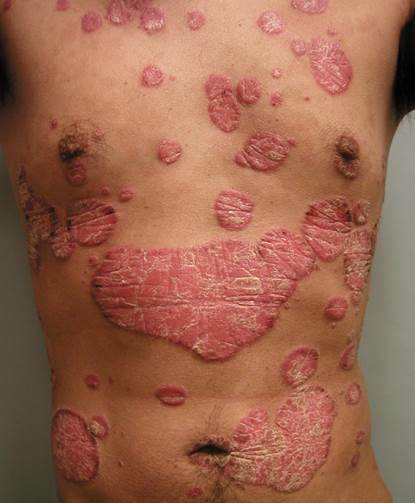 This “rebound” worsening of the psoriasis may even result in erythrodermic (total body) or severe pustular psoriasis. We do not recommend that this treatment is used and urge our patients to avoid resorting to a treatment which will be detrimental in the long-term. 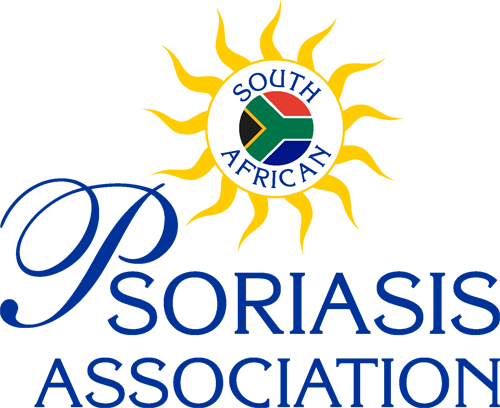 The South African Psoriasis Association has been in existence for some time and deals with all aspects of patient treatment and care. The Association through its countrywide network assists members of the public affected by psoriasis with practical guidance in day to day areas such as the most effective method of applying topical treatments as well as coping with the psychological effects of this disorder. Meetings are held on a regular basis to keep the patients and their families up to date with the latest protocols and findings. In this way, the Association offers invaluable support to sufferers of this disorder.